I BECAME INTERESTED IN NEUROSCIENCE, AND IN NEURODEGENERATIVE DISEASES IN PARTICULAR, WHILE IN ELEMENTARY SCHOOL AS A RESULT OF MY GRANDMOTHER’S STRUGGLE WITH ALZHEIMER’S DISEASE. IN THE BEGINNING, I THOUGHT HER FORGETFULNESS WAS JUST “GRANNY BEING GRANNY.” OVER TIME, IT BECAME APPARENT THAT THERE WAS MORE TO IT. IN FIFTH GRADE, I RESEARCHED ALZHEIMER’S AND OTHER NEURODEGENERATIVE DISEASES ON THE INTERNET AND BECAME FRUSTRATED BY WHAT SEEMED TO BE A LACK OF TREATMENTS THAT COULD STOP THEIR PROGRESSION. Since then, I’ve explored my interest in a variety of ways. In 2014, I participated in a one-day family neuroscience program at CTY, and in 2015 returned to CTY for a residential summer program on neuroscience. I also attended the Society for Neuroscience (SfN) Annual Conference the last two years. At the meeting, I listened to a couple of lectures but occupied most of my time talking with Alzheimer’s neuroscientists in the poster section. decided to participate both to challenge and enhance my knowledge of neuroscience and to meet likeminded peers. questions incorrectly. Questions started off relatively simple (true or false questions, one-word answers) and became more challenging (asking about highly specific genes, procedures, and syndromes). A handful of students were quickly eliminated, narrowing the field to about 10 competitors. I missed an easy question early and knew it would take intense focus and effort to survive the next few rounds. I managed to stick around until, after what felt like hours of fierce competition, only two of us remained. My competitor hadn’t missed a single question, and I knew it would be an uphill battle. A Question of Luck Question after question ensued; eventually, the organizers ran out of queries and had to search for more. Fortunately, the final question dealt by William Ellsworth with Alzheimer’s disease. I knew the answer instantly, and when the judge read my opponent’s incorrect answer, I realized I’d won. I would represent the state of Georgia at the National Brain Bee! The national competition would require much more knowledge than the state brain bee had. In just a few weeks, I needed to become familiar with slides of brain tissue and be prepared to analyze MRIs, diagnose patients from a list of 20 neurological diseases, and identify human brain anatomy. In addition to SfN’s Brain Facts, I was required to master content in the British Neuroscience Association’s booklet, Neuroscience: Science of the Brain. To help me prepare, I was mentored by Atlanta Brain Bee volunteers Dr. Joe Normandin of Georgia State University and two Emory University neuroscience Ph.D. candidates. We met a couple of times per week. similar presentations such as Parkinson’s and ALS. The most challenging portion of the day, however, was histology. We were shown microscopic images of the nervous system and asked to match the images to a list of structures. Although I had studied neurohistology in the weeks leading up to the competition, I was caught off guard by the complexity and specificity of the questions, as were many others. Finally, after five hours with just a few short breaks, the day’s events concluded. I had no idea of my position in the competition and was feeling somewhat (ahem) brain dead. Sunday, the last day, featured the oral competition. The final Jeopardy!-style round was the section I was most excited about, as it covered questions on everything from disease to anatomy. Each contestant was asked 25 questions. At the end of the round, I had earned the highest score. While it wasn’t enough to secure first place overall, I felt victorious in winning at least one section and a sense of accomplishment for placing third nationally as a freshman. Participating in the Brain Bee was a lot of fun. While the competition was intellectually demanding, I formed some great friendships with my competitors, and the large number of bright students who showed a passion for neuroscience made me hopeful for advances in treatments for neurodegenerative diseases. My grandmother’s affliction, along with the knowledge and encouragement gained from experiences such as the Brain Bee, have motivated me to pursue a degree in neuroscience and then go on to medical school. As a neurologist and lab researcher, I hope to help alleviate people’s symptoms—and perhaps one day even stop a neurodegenerative disease in its tracks. William Ellsworth is a high school freshman in Georgia. He participates in Science Bowl, public forum debate, math team, and his school’s student government association. William collects snow globes from every city he visits and now has over 25 of them. 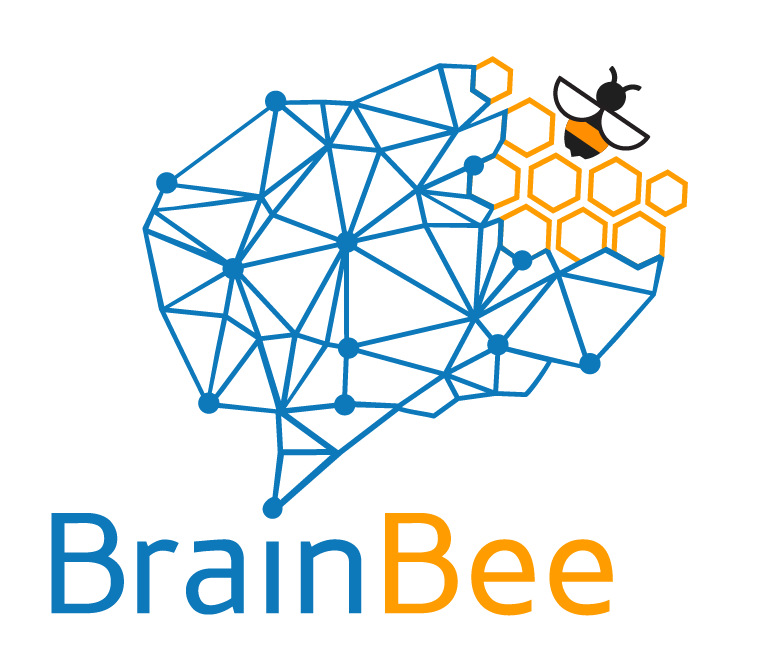 Learn more about the International Brain Bee at www.internationalbrainbee.com.